To keep our country safe from possible hostile attack, we all must participate in working together to follow rules and regulations when crossing into the United States from another country. This is why esta or Electronic System for Travel Authorization was established to keep track of people coming into the United States. To understand what their purpose is for being in the United States, and how long they plan to remain. The esta program is an extra step for travelers with a visa waiver, visitors, business travelers and travelers without a visitor visa who desire to come into the United States. The application must be completed every time one of these travelers enter the United States. Be sure to enter all information on a legitimate government website. This is to ensure that all of your private information remains private. 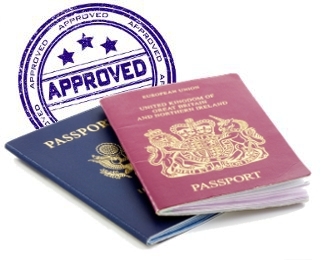 Before starting the five easy step application make sure that you have an up to date passport and a proper credit card to pay for the administrative costs. Answer each question with either yes or no depending upon your own particular situation. Any question that has not been answered will result in your application being denied. Proofread the application before turning it in, to save you time and money. After your application has been processed it will take only a few minutes to find out the results. You will be sent a reference number to your email address and you can print this off and put with your passport. With an up to date passport it is easy to verify that you have permission to enter the United States even without having to print off the reference number. Some people feel more comfortable having the printed copy, while other people feel their passport is enough to use for verification.